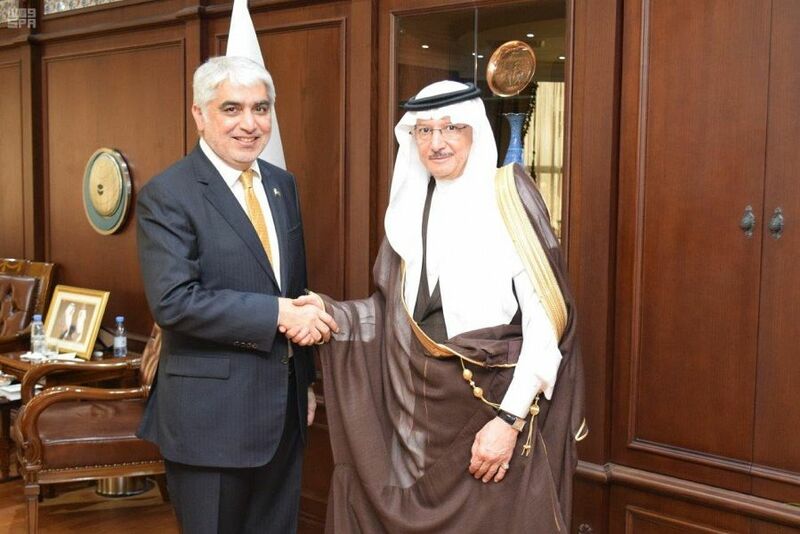 The Secretary General of the Organization of Islamic Cooperation (OIC), Dr. Yousef bin Ahmed Al-Othaimeen, received Ambassador Ramadan Abdulatipov on the occasion of presenting his credentials as Permanent Representative of the Russian Federation to the Organization of Islamic Cooperation. During the meeting, the two sides discussed ways of enhancing bilateral cooperation in scientific, cultural and economic fields in addition to combating terrorism and disseminating a culture of peace and security in the region as well as a number of issues of common interest. Dr. Al-Othaimeen also met with the Consul General of the Islamic Republic of Pakistan in Jeddah, Shehryar Akbar Khan on the occasion of a farewell visit at the end of his tenure. During the meeting, Dr. Al-Othaimeen stressed the importance he attaches to the Islamic Republic of Pakistan as an active and founding member of the Organization.